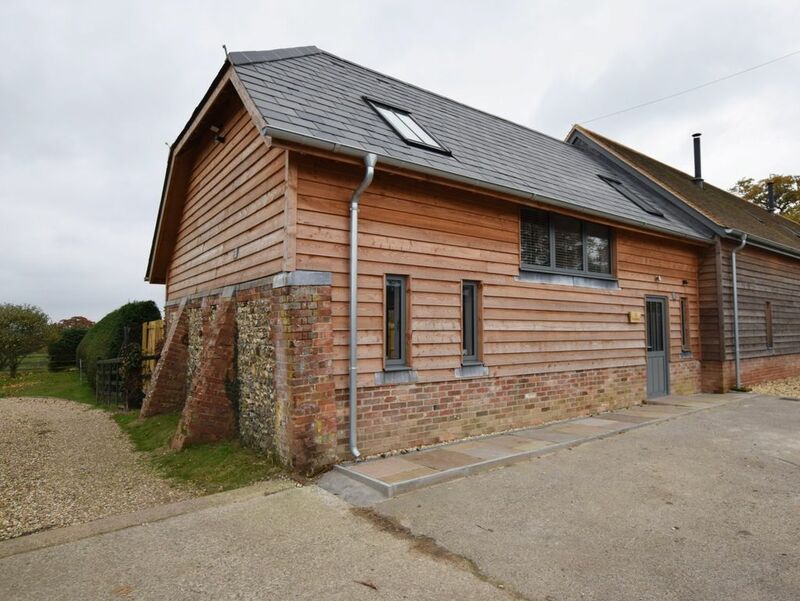 This characterful former agricultural building is set in the tranquil hamlet of Redlynch which provides the perfect base for exploring the New Forest National Park. There are 160 miles of routes to be explored locally which weave through this spectacular landscape and are ideal for walking riding and cycling - with many charming country pubs to be found along the way. Ideally placed for exploring Hampshire Wiltshire and beyond from here you can visit many popular attractions including Burley village Stonehenge Beaulieu Bucklers Hard and the cathedral city of Salisbury. Also accessible by car is the waterside town of Fordingbridge and popular Lymington with its cobbled streets bustling harbour and strong sailing heritage. From the parking space directly in front of the cottage is the entrance into this semi-detached property. Once inside you are met with a welcoming hallway with useful separate WC immediately to your right. To your left is the inviting lounge/kitchen/diner which has a wood burner and Smart TV making it the perfect spot for relaxing after a day spent exploring. Throw open the doors to the garden and enjoy leisurely meals at the dining table whilst admiring the striking character of this open-plan space. The kitchen area is well-equipped with an electric oven and hob fridge/freezer microwave dishwasher there is also a washing machine in a cupboard off the hallway. Heading up a flight of stairs to the galleried landing you will find a stylish king-size bedroom a pretty double and a cosy single bedroom. All of the bedrooms make use of the contemporary bathroom with beautiful free-standing bath separate shower and WC. The bedrooms are set into the eaves with views over open countryside exposed beams and some restricted head height in places.. Heading outside from the lounge area there is a patio with garden furniture and charcoal BBQ offering the perfect spot for a relaxed meal. Enjoy the views over pastureland while your four-legged friend stretches out on the fully enclosed lawn. There is an off-road parking space directly in front of the cottage and there is a further space approximately 50 metres from the property.